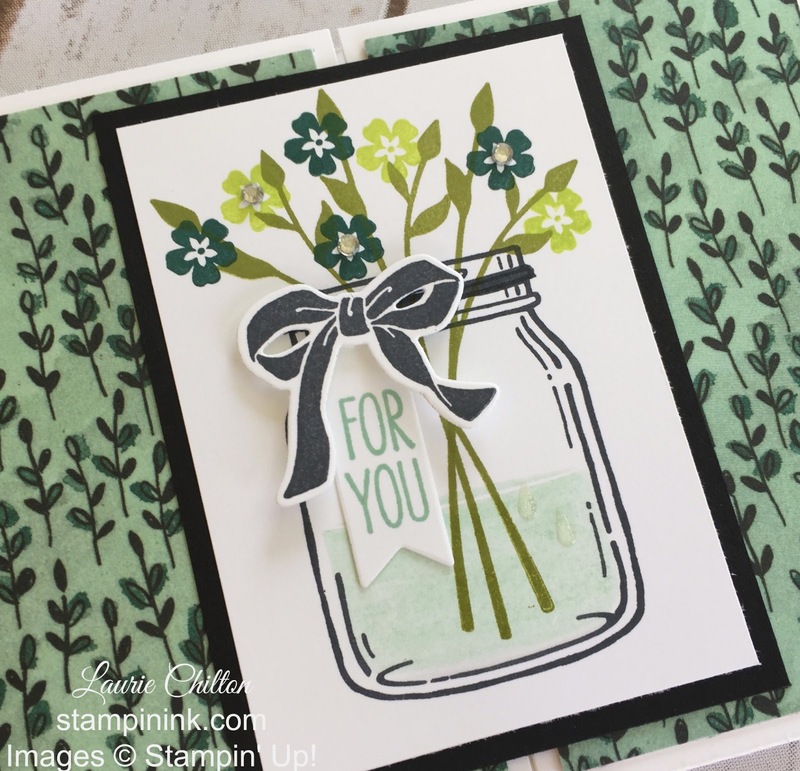 Popping in today to show you a card and sneak peek of NEW products from Stampin' Up! that will be available June 1st. 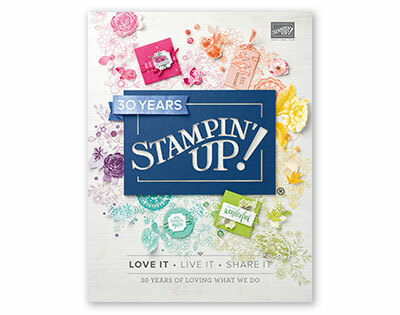 This is a great stamp set with pretty floral images and sweet sentiments. Using a Stampin' Trimmer cut a 7 x 5 1/2 piece of Melon Mambo cardstock (CS) and score at 2 3/4 inches. Fold at the score mark facing to the right. This will create the first flap of your card. Cut a 2 5/8 x 5 3/8 piece of Garden Impressions Designer Series Paper (DSP) and adhere to the top of the flap as shown in the picture below. Cut another piece of Melon Mambo CS to 6 1/2 x 4 1/2 inches. Score at 3 1/4 inches and fold at the score line facing to the left. This creates the top flap of your card. 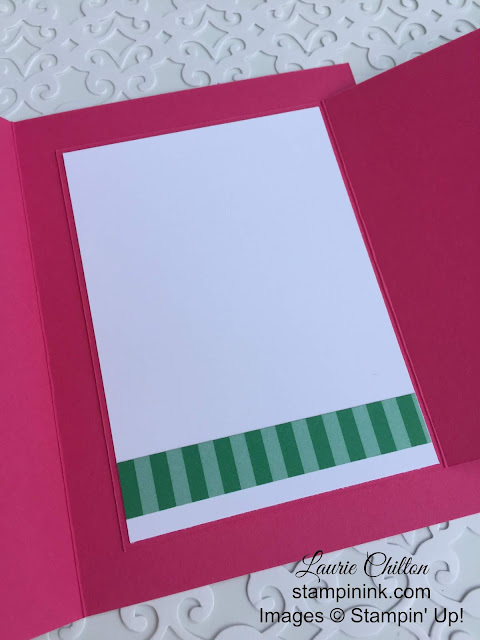 Cut a 4 1/8 x 3 1/8 inch piece of Whisper White CS and adhere a 1/2 x 3 1/8 inch piece of striped paper from the 2018-2010 In Color 6 x 6 Call Me Clover DSP about a 1/4 inch from the bottom. Adhere that piece to the inside of the Melon Mambo CS. Now you can adhere this piece to the inside of the card as shown below. To create the front of the top card flap. 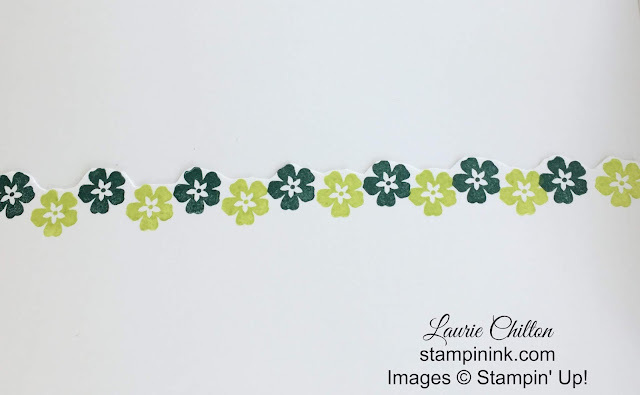 Cut a 2 7/8 x 4 1/8 piece of Whisper White CS and stamp the stems of floral image first in the center of the paper with the NEW In Color - Call Me Clover and Old Olive Inks. Stamp the flowers using Daffodil Delight ink first and then Crushed Curry ink over the stamped flowers to create some depth. 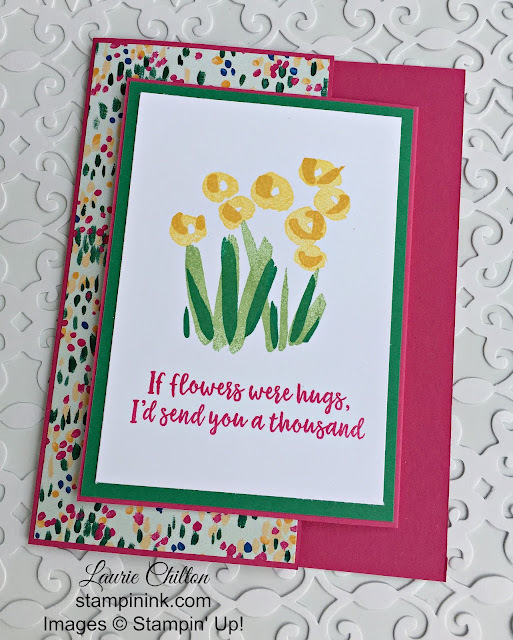 Using Melon Mambo ink stamp the sentiment. Adhere to a 3 1/8 x 4 3/8 piece of Call Me Clover CS and then adhere that to the front of the top flap. Don't forget the NEW products will be available June 1st. The product links to my online store will be posted that day. If you don't already have a demonstrator and would like a copy of the NEW 2018-2019 Catalog just drop me an email and I will send one out to you in a jiffy! Thanks so much for stopping by today and have a wonderful Memorial Day weekend! 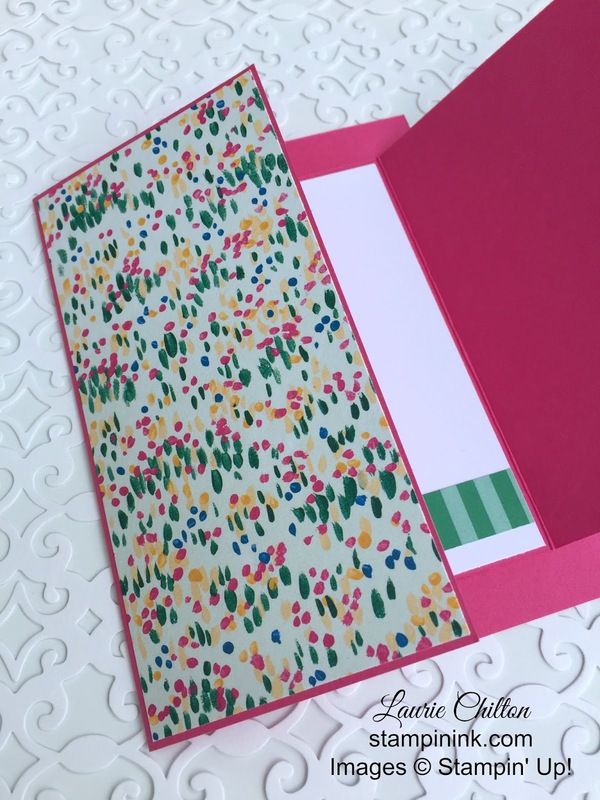 I am loving the new Share What You Love Suite from Stampin' Up! The beautiful prints on the Designer Series Paper(DSP) make it so easy to put together cards and 3D projects in a snap! Today I an featuring a gate fold gift card that I whipped up for my mother-in-laws upcoming birthday. This was also my swap card for the Sweet Stampede monthly card swap this month. I love using different fold techniques on my cards to add interest. I hope you like this one! Adding some bling to the flowers with a few rhinestones really makes them pop! I also added some water drip shaped epoxy stickers to get that water dripping down the glass look. 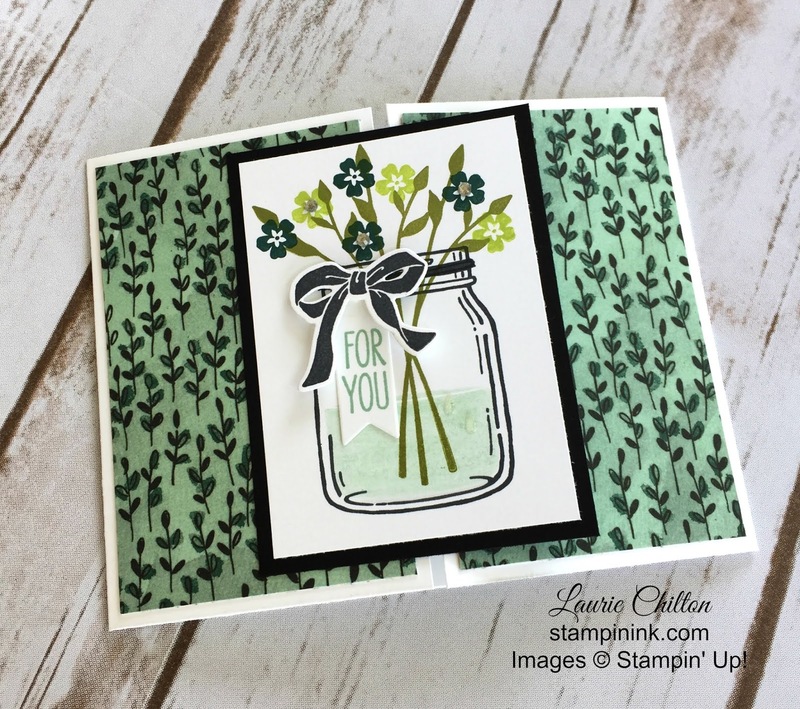 The Jar of Love stamp set and coordinating Everyday Jar Framelits are really fun to play with. The possibilities are endless. I created a perfect place to insert a gift card on the inside of the card. We are having beautiful weather here in the Midwest so I'm off to plant some lavender in my garden. I hope you have a great week. 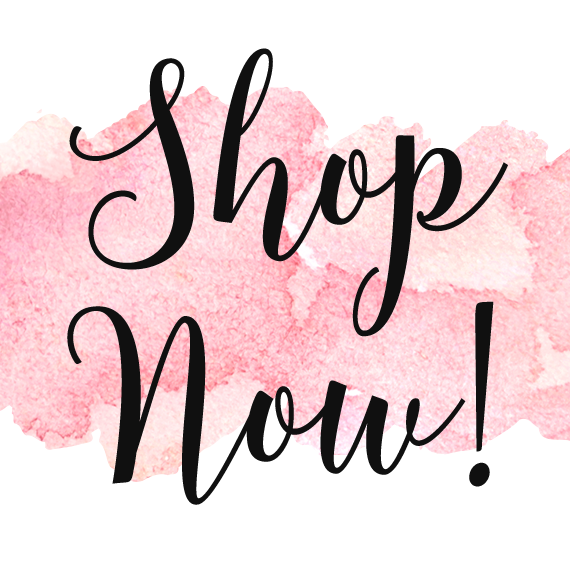 I will be back with more sneak peeks of beautiful NEW products that will be available use 1st! If you would like the full PDF instruction sheet for my project today click on the tams#22568 link below and then click on print recipe in the upper right of the page.